Greetings from the temporary SigEp Patriots Project (SPP) home office at Fort Bragg, NC. My apologies. The goal for 2014 was to write one edition of this work each week, however, the U.S. military had some plans for me that have been keeping me very busy. This week, we remember and honor 12 brothers, including two who made the ultimate sacrifice, and one brother who was awarded the Army Distinguished Service Cross (DSC). World War I Veteran and OH Gamma Brother Captain Robert L. Tavenner, U.S. Army died on this date in Columbus, Ohio while serving as an instructor in the Department of Military Science and Tactics at The Ohio State University (OSU). Brother Tavenner was commissioned a Second Lieutenant in the Ohio Army National Guard in 1917, and subsequently assigned to the 37th Division of the American Expeditionary Force. Soon after arriving in the European Theater, he selflessly led his men while performing heroic acts for which he was awarded the Distinguished Service Cross (DSC) – the highest award presented by the U.S. Army second only to the Medal of Honor. The SPP archives show that Brother Tavenner is one of five SigEp Patriots to be awarded one or more DSCs. Robert attended the College of Arts at OSU where he was also in the Corps of Cadets. He graduated in 1908. Respect can be paid to Brother Tavenner at Mound View Cemetery, Mount Vernon, Ohio. On this date, during Operation VICTOR II, World War II Veteran and OK Alpha Brother First Lieutenant Frank M. Pinney, U. S. Army was serving with the 182nd Infantry Battalion of the Americal Division when he made the ultimate sacrifice near Cebu City, Cebu, Philippines. In MAY 1941, Brother Pinney received a reserve commission in the U.S. Army upon his graduation with a degree in Aeronautics Administration, and was shipped overseas in SEP 1943. He was assigned to the 182nd as the Battalion Supply Officer. On 13 APR 1945, during a battle on Hill 260, First Lieutenant Pinney volunteered to lead a "carrying party" up Hill 260 in order to refit a rifle company engaged with the enemy and in desperate need of re-supply. While slugging his way up a trail, his party was ambushed and he was and killed instantly by a Japanese machine gun. For his actions on this date he was posthumously awarded his second Bronze Star. Frank became a SigEp during his three years at Oklahoma A & M (now Oklahoma State University), where he was also a member of the Pershing Rifles, Scabbard and Blade, and the Aggie Society. Respect can be paid to Brother Pinney at Rose Hill Memorial Park, Tulsa, Oklahoma. Brother Atchison earned his B.A. in History at the University of West Virginia where he was a member of the marching band, Sigma Alpha Theta History Honorary Fraternity, ROTC and the Scabbard & Blade Society. He received his commission as a Second Lieutenant in the U.S. Army upon graduation in 1967. James is one in a long line of SigEp Patriot aviators. In April 1969, he graduated from the Army Primary Helicopter School at Fort Wolters, TX. He was then stationed at Hunter Army Air Field, Savannah, GA, where he received advanced flight training, and earned his Wings in AUG 1969. James’ tour of duty in Vietnam started in OCT 1969, and he was promoted to the rank of Captain in DEC 1969. 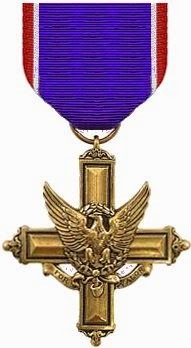 In addition to the Distinguished Flying Cross, Brother Atchison’s awards include the Air Medal (with seven oak leaf clusters), Purple Heart, and National Defense Service Medal. 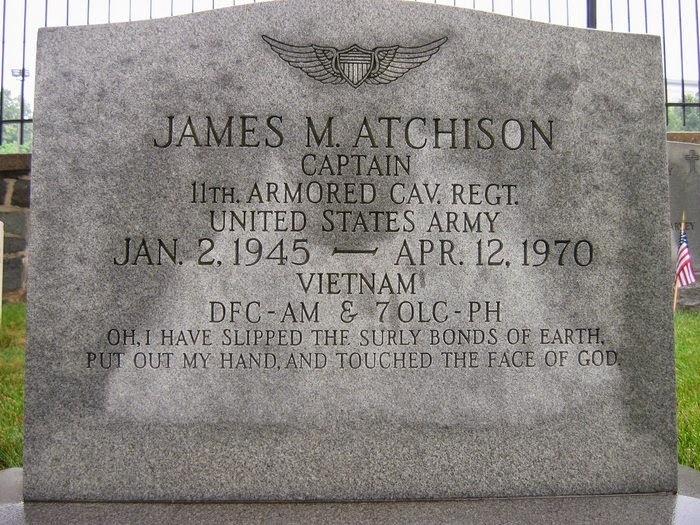 Respect can be paid to Brother Atchison at Section 8, Site 6371 at Arlington National Cemetery, Arlington, VA.
Vietnam Veteran and NE Beta Brother Lieutenant Commander Kenneth G. Doeschot, U.S. Navy (Retired) died on this date in Newark, California at the age of 49 after a long illness. Upon his death, Kenneth was buried at sea. During his career he served two tours in Vietnam. At NE Beta, Brother Doeschot was the 117th initiate with a grand chapter number of 44,525. On this date, World War II Veteran and CA Beta Brother Ensign Gaylord G. Goble, U.S. Navy died in La Jolla, California at the age of 80. Brother Goble served aboard the aircraft carrier USS Point Cruz (CVE-119). Gaylord attended USC and graduated from the School of Dentistry in 1945. U.S. Army Air Corps World War II Veteran and TN Alpha Brother James M. Delzell died on this date. James served in the Pacific Theater during WWII. After the war, he received his bachelor's degree from the University of Tennessee. He retired from National Life and Accident Insurance Company, and served on the Board of Ravenwood Country Club. Respect can be paid to Brother Delzell at Woodlawn Cemetery in Nashville, TN. * World War II Veteran and OR Alpha Brother Captain Gene F. Empey, U.S. Army Reserve passed away 13 MAR in Colorado Springs, CO. During WWII, Brother Empey served in the infantry in the Philippines. * U.S. Army World War II Veteran and PA Epsilon Brother Major Lynn C. Bartlett, U.S. Air Force Reserve, 92, passed away 18 MAR at The Pines Nursing Home in Poughkeepsie, NY. During WWII, Lynn entered the Army as a Private and left as a Captain. Subsequently, he joined the Air Force Reserve. * U.S. Navy Korean War Veteran and IL Epsilon Brother Thomas L. Porter passed away after a brief battle with cancer on 01 APR in Midlothan, TX. Tom entered the Navy’s air force division 17, and attended Evansville University following his four years of military service. The family asks that as a meaningful alternative to flowers and expression of sympathy, memorial contributions may be sent to the Salvation Army at 8060 Singleton Rd., Midlothian, Texas 76065. * World War II Veteran and MA Beta Brother Lieutenant Commander Carl J. Lindegren, Jr., U.S. Navy Reserve (Retired), 97, passed away 02 APR in Shrewsbury, CT surrounded by his family. A memorial service will be held at the First Congregational Church of Shrewsbury on 25 APR at 11am. Internment with naval military honors occurred on 05 APR. In lieu of flowers and in keeping with Brother Lindegren’s long-held passion for supporting the education of future Mechanical Engineers, please consider making a memorial contribution to the C. John Lindegren, Jr. Scholarship at Worcester Polytechnic Institute, Attn: Gift Recording, 100 Institute Road, Worcester, MA 01609. * U.S. Navy World War II Veteran and MO Gamma Brother John F. “Jack” Stephens, 88, passed away in Dallas, TX on 04 APR. Our thoughts and prayers go out to the families, friends and chapter brothers of SigEp Patriots Empey, Bartlett, Porter, Lindegren & Stephens. The SigEp Patriots Project (SPP) pledges that their lives and service to the Nation will always be remembered. * AK Alpha Brother Specialist John Anderson, U.S. Army is now engaged! Ms. Michaella Rice found a ring at the end of her fishing line placed there by John while ice fishing and she said, “Yes!” Congratulations to John and Michaella.